The Auction of Washington Wines (AWW), Washington state’s only nonprofit wine event that has been around for 32 years, today recognized Chris Gorman of Gorman Winery as its 2019 Honorary Vintner and Scott Williams of Kiona Vineyards as its 2019 Honorary Grower. The individuals were selected because they exemplify leadership in the industry and have made significant contributions to the Washington wine community. These honorary positions are peer-nominated and reserved for leaders who deeply invest in and positively impact the Washington state wine community. Chris entered the wine business after graduating from Western Washington University in 1991. He began his career by representing some of the finest wines in the world and traveling extensively in the wine areas of Italy, Spain and Germany. His early winemaking years found him producing small-batch wines, using “stolen fruit” from many of Washington’s best vineyards. In 2002, Chris took his years of experience in the global wine industry to launch his own premium Washington winery, Gorman Winery, using fruit from Kiona Vineyards. For almost ten years, he was the only employee, focusing on Red Mountain Cabernet and Syrah. His focus remains on high-quality fruit and oak in small production. Wine Spectator named him one of ten rising stars in American winemaking in 2008. In 2017, the 2014 vintage of Zachary’s Ladder was included on Wine Spectator’s Top 100 list, and his wines regularly fetch 90+ scores today. It’s impossible to convey the history and pedigree of Red Mountain without telling Scott’s story. He and his wife Vicky moved to the AVA in 1984, after Scott earned his Agricultural Engineering degree from Washington State University and helped his parents to plant one of the first vineyards. 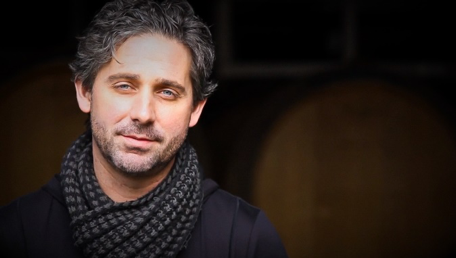 Over the years, Kiona Winery grew under Scott’s direction, as did his influence in Washington wine. Scott planted blocks of less-common varieties, including Syrah and Zinfandel in the 1990s, Sangiovese and Carmenère in the 2000s, and Petite Sirah in the 2010s. Scott is a supplier to some of the most esteemed wineries on the West Coast, including Betz Family Winery, Long Shadows and 2019 AWW Honorary Vintner Chris Gorman of Gorman Winery. Today Scott still lives in the same house that he bought in 1984, and he now owns and farms more than 260 estate-grown acres on the AVA and works with his father and sons to run the operation.